St James Homes – an award-winning property developer and part of the Berkeley Group – is creating a new urban community in a regenerated area of Reading, Kennet Island. Supporting the government’s initiative to develop brownfield sites into affordable, sustainable, high-quality communities, St James intends to build 850 dwellings on the site. Building on a 20-year working relationship with the Berkeley Group,wide-ranging groundworks experience, competitiveness and quality services, Wooldridge was selected to support the housing developer on this project, the largest of its kind ever built in Reading. The site is divided up into phases and work is carried out on a rolling basis. 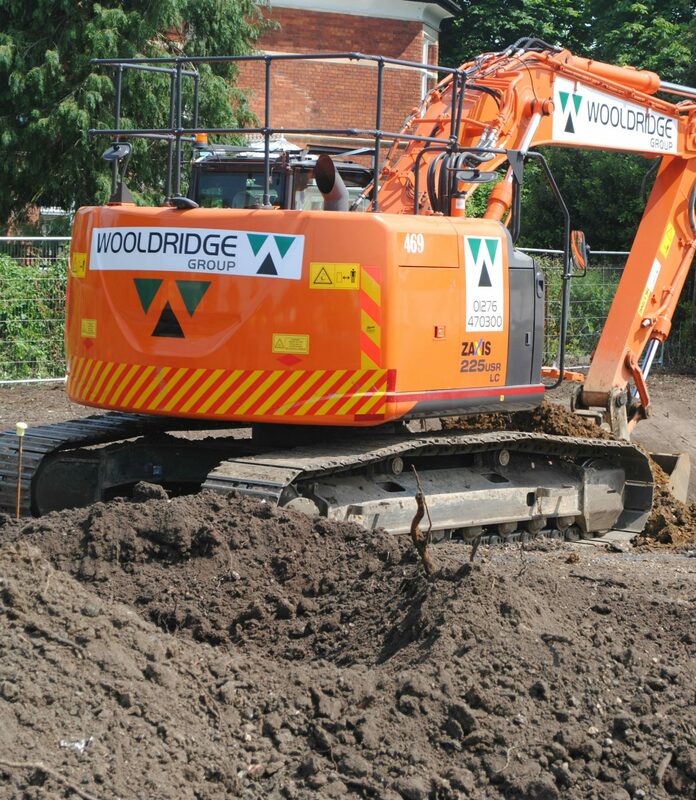 Wooldridge is responsible for three key elements of each phase and has around 30 operators on site together with a full complement of plant and equipment. Initial works cover infrastructure, roads and sewers followed by domestic groundworks that consist of the substructure, drainage and services work. Once St James constructs the superstructures, Wooldridge completes the plots with paths, patios, driveways and roads. Wooldridge is responsive to the changing requirements of the project as St James Homes adapts to property demands and works closely with the developer to ensure the phases are delivered on time and on budget.